Equinox Resort has the best local cider doughnuts! I live a mile from the Equinox and did not know that I could go to the gift shop every weekend morning and get a dozen or more cider doughnuts. Now I am there every time the kids need a weekend treat or guests come up from the City. Get there early enough and they are still warm, with a substantial weight to their sweetness and a hint of cinnamon (or is that just a smell from my childhood?) You have got to try them. Why should just the Equinox guests have all the fun? 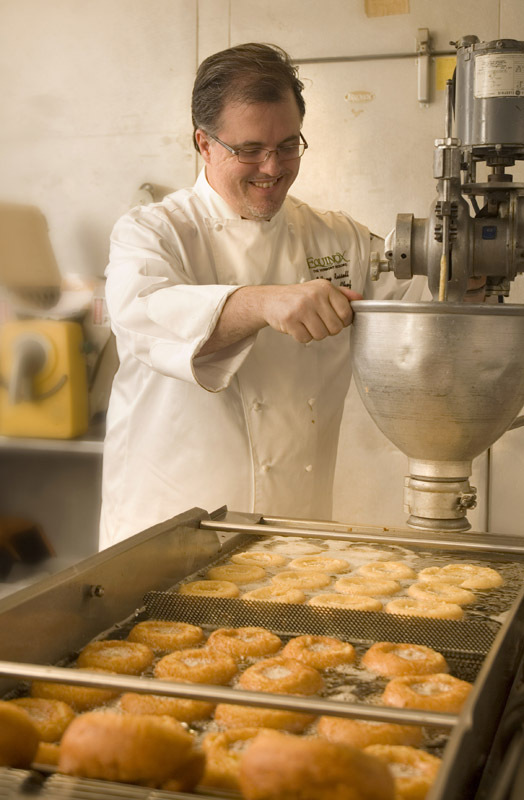 Chef Russell and his cider doughnuts were recently featured in Food Arts magazine, the leading publication for restaurant and hotel “foodies”.